If you’re a betting person, Round 7 would make you want to delete every punting app you have before locking yourself in a room with a pint of ice-cream and reruns of the 2002 Bledisloe Cup. “Happier times!” you’d shout at the screen as Matt Burke slotted a late penalty to win it for the Wallabies. In what was a week comprised almost exclusively of upsets, this rankings board sees some interesting moves and a few bold calls. As always, robust discussion is encouraged. The Crusaders went down 20-12 to the NSW Waratahs in Sydney on Saturday night. The reason why they remain in first spot is not difficult to explain. That loss was their first in 20 games. Not a typo – 20 games. Their unbeaten 19-game streak is one of the most impressive displays of consistent, continuous form from a professional organisation in the modern era. You would have to go back to March 2018 to find when they were last beaten. Regarding the weekend’s game, I think they were totally out-enthused and made a number of uncharacteristic errors, especially when going forward. Intriguingly, they were obliterated in the loose, and bar a 15-minute period after half-time, they were beaten at setpiece and breakdown time too. Because I’m a forgiving scribe, they don’t drop a spot – and sit pretty on top with the best record in the competition. They have now won three games by seven points or less, but the Hurricanes seem to just keep escaping with wins, and they have the second-best record in the competition as a result. It was a close victory over the Stormers this time around. The Hurricanes forwards have struggled thus far, and the Stormers attacked their set piece with immediate success. Champion teams are adaptable, however, and they changed the point of attack to keep the ball wide and away from the one-out phase play that teams can revert to when under pressure. 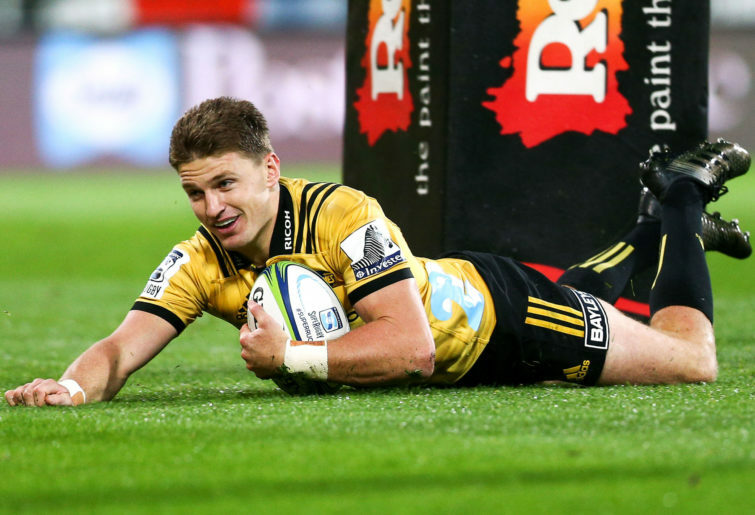 Beauden Barrett carried them this week and was immense in the last 25 minutes, scoring once and setting up another as the Canes fell over the line. They started slowly but the Lions seem to have settled into their groove nicely, and they continued their run with a comfortable victory over the Sunwolves in Singapore on the weekend. Malcolm Marx was again pivotal for the visitors, scoring twice and consistently getting turnovers and forcing errors with his brutal defence in the contact zone. Elton Jantjies had one of his better games of the season too. Importantly, their backs are finally finding their way to the line. Last year’s grand finalists look much better for the first few rounds. The Sharks controlled things beautifully in a 28-14 win over the Melbourne Rebels in Round 7. Robert du Preez continues to be one of the more underrated players in this competition. He kicked wonderfully, added a try of his own and set up the final try to kill off the Rebels for good in this contest. His game management is elite and he is the go-to person for the Sharks when things get a little frantic. He will keep rising. Makazole Mapimpi showed a good turn of foot to go the length of the field, and their forwards went to another level in the second half, forcing error after Rebels error. A very solid victory against a capable Rebels side. 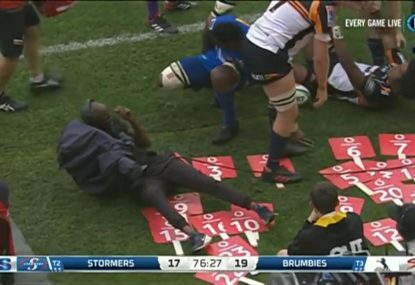 The Stormers were beaten 34-28 by the Hurricanes in a seesawing Round 7 fixture. They had plenty of chances to win, which would have frustrated and pleased their fans and coaching staff in equal measure. In the end they couldn’t capitalise on their superior setpiece and the Hurricanes were able to fall over the line. A yellow card to flyhalf Jean-Luc Du Plessis was perhaps a momentum turner. 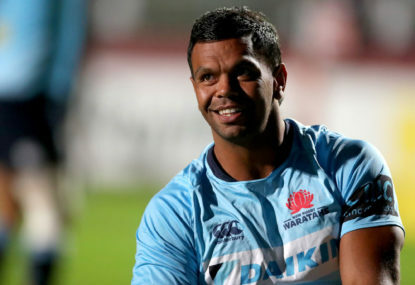 The Waratahs ended the Crusaders 19-game win streak with a 20-12 victory in New South Wales on the weekend. 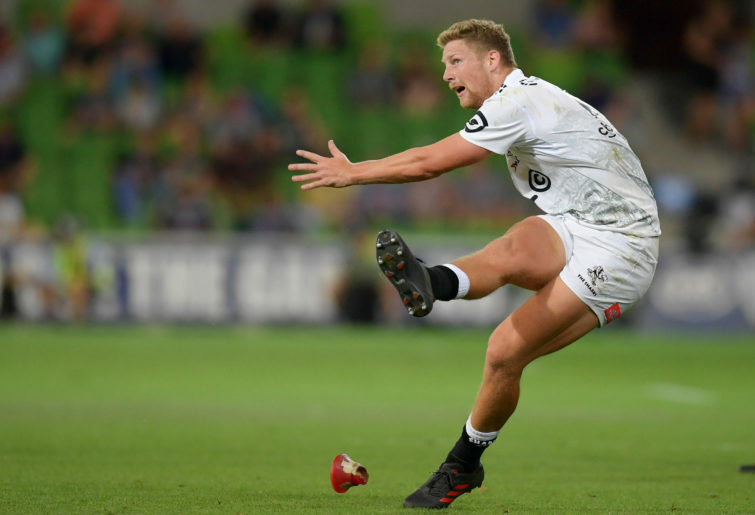 It was one of the Tahs’ better performances in recent memory – not so much for the attacking prowess or highlight reel plays; rather for their defensive tenacity throughout. So often the Crusaders run teams down and pile on points in the last exchanges of their games. The Tahs refused, though, and shut down wave after wave of attack, particularly at the beginning of the second half. Michael Hooper and Ned Hanigan had their games of the season while Bernard Foley did little to hurt his standing with national selectors. It was their best performance of the year and a platform to build from. Another frustrating loss away from home for the Rebels, who were defeated 28-14 by the Sharks. Twice in two weeks ill-discipline and careless turnovers have killed the Melbourne side, which could easily be undefeated so far in the competition. 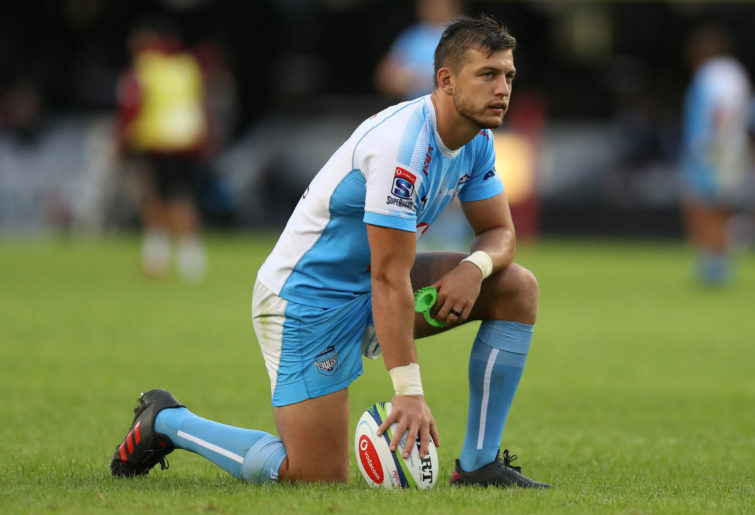 A Sharks outfit, on the back of another stellar Robert du Preez masterclass, both controlled the pace of the game and milked every penalty and error out of the Rebels that they possibly could. 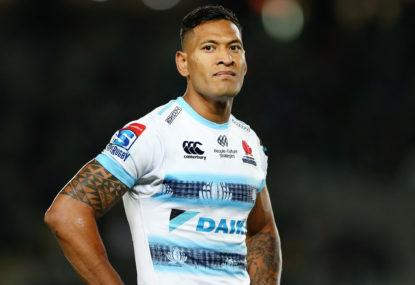 Admittedly the Rebels were missing a host of Wallabies, including Will Genia and Dane Haylett-Petty, under the ARU’s rotation policy, but they did themselves no favours. Quade Cooper and Jack Maddocks were good, and Tom English continues his best season in years. I don’t think anyone saw this coming. The Bulls went into their fixture against the Chiefs as one of the form sides through their first five games. A home game against a travelling (and struggling) Chiefs side should’ve been a comfortable win. However, they were totally outplayed in every facet of the fixture by a Chiefs outfit that decided to play their best player in his best position (go figure) and seemed hell-bent on fixing their season. An ambush indeed, and an ambush they need to learn from. The Highlanders were defeated in a thriller by the Blues, going down 33-26. They had the chance to tie things up in the 80th minute but couldn’t hang on to the ball close to the line. Tevita Li was outstanding, while Marty Banks was workmanlike as ever. This was the game of the season for the Blues so far as they recorded an entertaining 33-26 over the Highlanders. Rieko Ioane is a jet and had another double in the first half as the Blues attacked in waves and looked to spread the ball to both edges. The Highlanders took too long to work into the contest and Patrick Tuipolotu’s late try was enough to hang on for a much-needed win. This round was a bye for the Jaguares. It was a performance to silence the doubters from the Chiefs on the weekend. They were totally, utterly dominant 56-20 win against a very solid Bulls outfit, running in seven tries to open their account for the season. 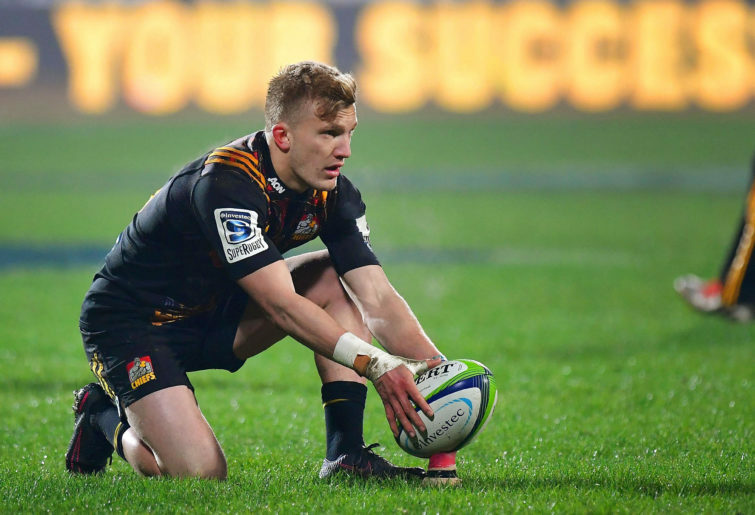 I wonder if the Chiefs staff have been reading this column (and many others), or just, I don’t know, looking where their best player’s best position has been for many years, but Damian McKenzie was the best player on the park with a 15 on his back (finally). He kicked well, too, adding six conversions and three penalties. Now leave him there, please! Alex Nankivell was not even slated to start mid-week but was wonderful stepping in for the injured Anton Lienert-Brown. He had a double and carried with vigour throughout. Solomon Alaimalo and Brodie Retallick also had their best games of the year. The Reds would’ve hopped up a spot, but then the Chiefs went bonkers in South Africa against the Bulls. 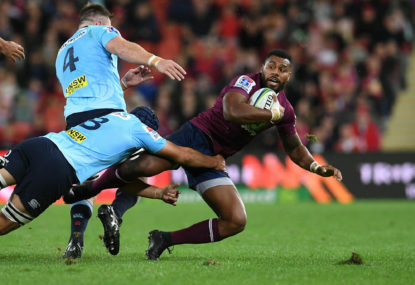 However, the Reds have won two straight and actually dominated an admittedly lacklustre Brumbies team on Sunday afternoon in Brisbane. They controlled the game through their forwards, and Tate McDermott is a refreshing spark at halfback. Their bench was influential again, and Brandon Paenga-Amosa has a happy knack for finding the line in the last 20 minutes of games. There are still issues with their defence in and around the breakdown, and they did get beaten around the edges a couple of times. However, their mojo looks to be slowly coming back. It was a solid, momentum-building performance ahead of a cracking game against the Rebels next week. 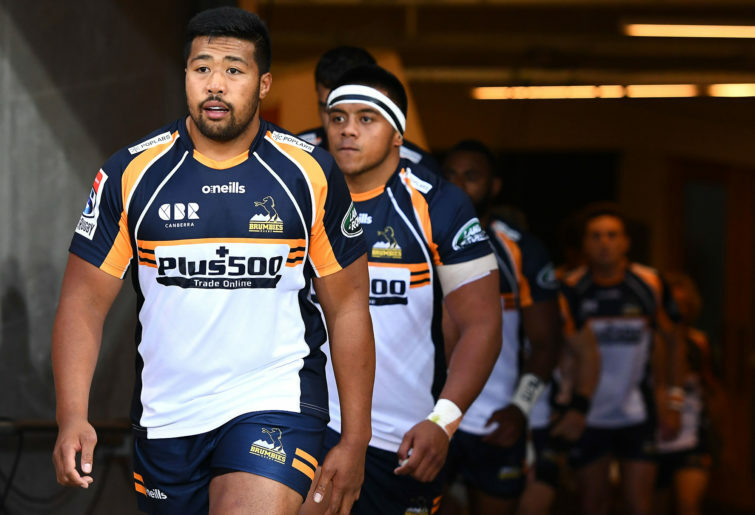 The Brumbies were, quite simply, really disappointing on Sunday afternoon. They have now won two of their first six games and, perhaps more worryingly, are yet to string together two weeks of consistent rugby. The memory of their big win against the Chiefs has been all but forgotten as another insipid defensive effort let the Reds piggies carry with ease, giving their backs front foot ball. 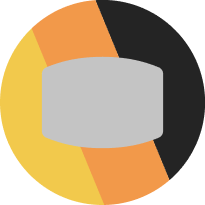 They do seem to lack direction at times, and they rely too heavily on one or two carriers to get their go-forward. This is not a template for success, and they have a lot of soul-searching to do with a bye next round. This is hard to write. It is always tough when a team gets flicked from a competition. We don’t see the pain or disappointment their supporter base feels, knowing they only have a select few matches left to cheer their team on. The Wolves fan-base is a fairly sizeable one too, and their home games are always well attended. 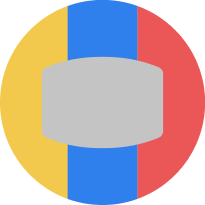 It will be a shame to see them and their brand of end-to-end pulsating rugby union go. On the weekend they were beaten 37-24 in a tussle against the Lions. While they never really challenged last year’s grand finalists, they showed flashes of spark. 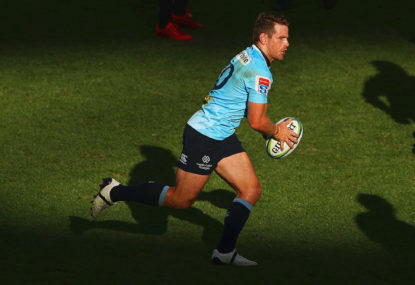 Wallabies playmaker Bernard Foley has contributed 16 second-half points in the NSW Waratahs’ stunning Super Rugby comeback win over the Melbourne Rebels. The Sharks welcomed the Queensland Reds to Kings Park with both teams coming off losses in Round 9.